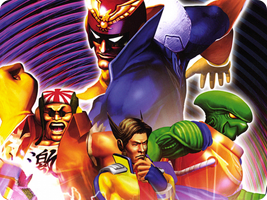 The first showcase of the SNES's Mode-7 scaling technology was F-Zero, a high-speed, futuristic racing title. Each game in the series pushes the limits of its technology to be the fastest racing games of their time. In recent years the series has been revived through an anime series in Japan, introducing a more involved storyline and mission-based stages.